Beguinale house. Modest museum established in one of the old beguin houses in the béguinage of Bruges (the first house on the left when you enter via the main gate). This small museum gives you a idea on how the beguins used to live. 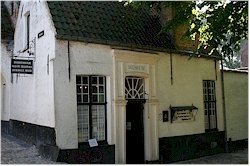 Groeninghe museum. 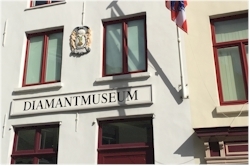 This museum is probably Bruges' most renowned museum on international level. If you like fine arts and especially paintings, then this is something you should not miss. The museum holds an impressive collection of priceless paintings from masters of the famous Flemish Primitives such as Jan van Eyck and Hans Memling. Next to these masterpieces, there is also work from later period for you to admire. Chocolate museum. 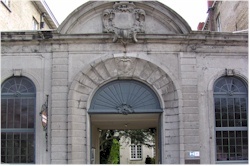 One of Bruges' most tasty museums is located in an impressive, gothic 15th century house, called "De Croone" (The Crown). Here you can discover many aspects of one of Belgium's most famous products: chocolate. 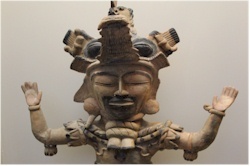 The history of chocolate is explained from cacao to pralines, from the American Indians to present-day production. There is also a live presentation on how pralines are made (don't miss that!). Based on your personal preferences, a specific type of chocolate can be determined. We bet you didn't know that there were so many tastes of chocolate. Diamond museum. The city of Antwerp is known as the world capital of diamonds but before Antwerp became famous for them, diamonds were already traded in Bruges. Therefore, a museum on the most precious stones in the world deserves its place here. Torture museum. 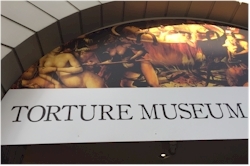 This museum only opened its doors for the public in 2015 and is officially called "Museum for Instruments of torture, objects of justice in Bruges". It is located in the "Oude Steen" (the Old Stone), a building that once served as a prison and shows the visitor how frightingly inventive medieval man was for extracting a confession from a suspect or for punishing a convicted criminal. Unique in its kind in Belgium.